Do you have an artistic idea within the field of contemporary music theatre and/or transmedial performance? Are you looking for a great opportunity to develop this idea under the best possible conditions? Bijloke Summer Academy – Music Theatre offers residencies to young artists in an inspiring atmosphere. is an initiative by five partner organisations, all physically located at the Bijlokesite in Ghent. All partners are involved in the international fields of contemporary music theatre and transmedial performance. 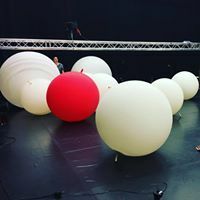 Our ways of working within the scene are different yet highly complementary as organisational forces of Bijloke Summer Academy – Music Theatre. Bijloke Summer Academy - Music Theatre provides coaching by highly renowned artists/dramaturges and a professional new music ensemble with the technical and logistic support of a well-equipped production house and music venue. All participants are offered a residency of 1 to 2 weeks in Ghent and a rehearsal space in one of the performance halls at the Bijlokesite. Fill in the application form on www.bijlokesummeracademy.be before April 15 2019.
a project description or artistic research proposal (preferably a video pitch), and a biography of all applicants. You will also have the opportunity to specify or select your practical needs (travels, preferred period…) as well as artistic expectations (coaches, types of technical and artistic support…). Bijloke Summer Academy takes place in Ghent, Belgium between August 26th and September 8th 2019. The organisations provide accommodation, catering and reimbursement of travel costs.